Over 170 breathtaking 3D & 2D hardware accelerated transitions with transition gallery! Easy-to-use visual transition builder – Create your own custom transitions and use it with your slider! 5 displaying modes (normal, responsive, full-width, full-width + responsive & full-width + responsiveUnder. 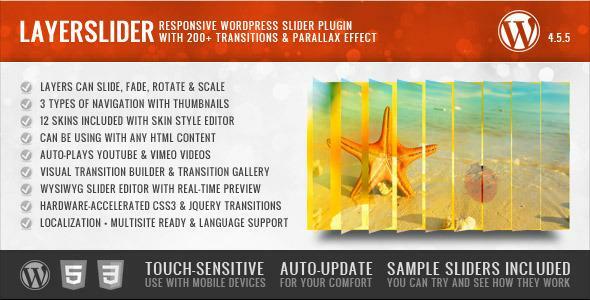 Share the post "LayerSlider Responsive WordPress Slider Plugin"